You can’t beat having fresh fruit available during the summer. It is one of the easiest snacks to grab on the go especially with the abundance of fresh fruit markets available during the summer months. 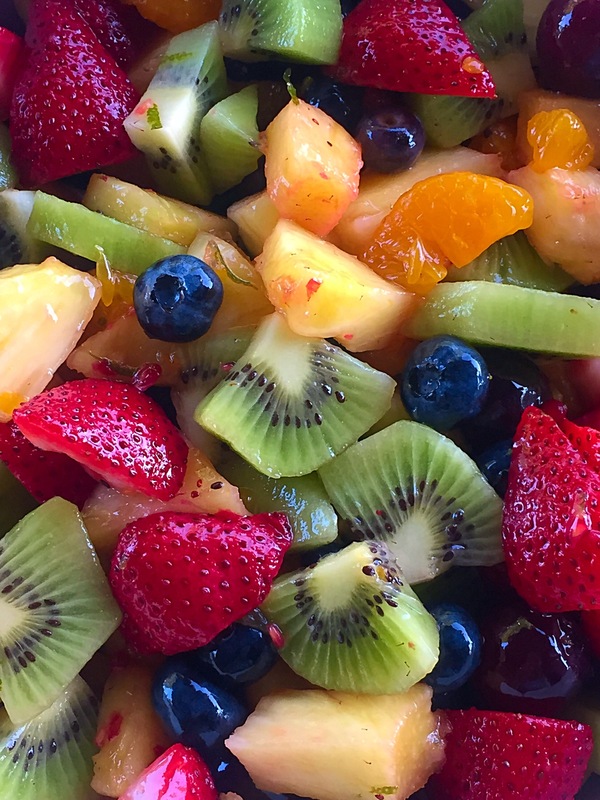 A fruit salad is an easy “go-to” treat to bring with for any summer party or even to keep on hand in your home! The following recipe is super easy and quick to put together for those last minute parties or even for a snack for yourself. The dressing is easy to make and we keep it on hand in our refrigerator for a few days at a time since it keeps pretty well. I’m sure it would last longer than a few days but we’ve never made it past a week without running out! All we have to do is grab a few handfuls of fruit and toss them with the dressing and you’re good to go! Now quick note- if you do not eat all of the salad in the first two days, things tend to get mushy and start to spoil. That is why we keep the dressing on hand and add it to fresh fruit as we need it! Combine ingredients and mix well. You can double this easily and save some for another day! Combine fruit and toss with dressing. Add dressing slowly, making sure to cover fruit. If you add too much it will pool at the bottom of the bowl so be careful. Make sure to toss fruit before serving to allow juices to evenly disperse. If you haven’t figured it out by now, my husband has a bit of a sweet tooth. In fact, he’s pretty much my go-to taste tester for these recipes because he is extremely picky when it comes to gluten free food. Now, a few weeks ago, he had a piece of pumpkin poundcake at his favorite coffee shop and kept talking about it. My mature response? Challenge accepted! In a bowl, combine your dry ingredients. In a separate large mixing bowl, combine sugar, yogurt, egg whites, and pumpkin. 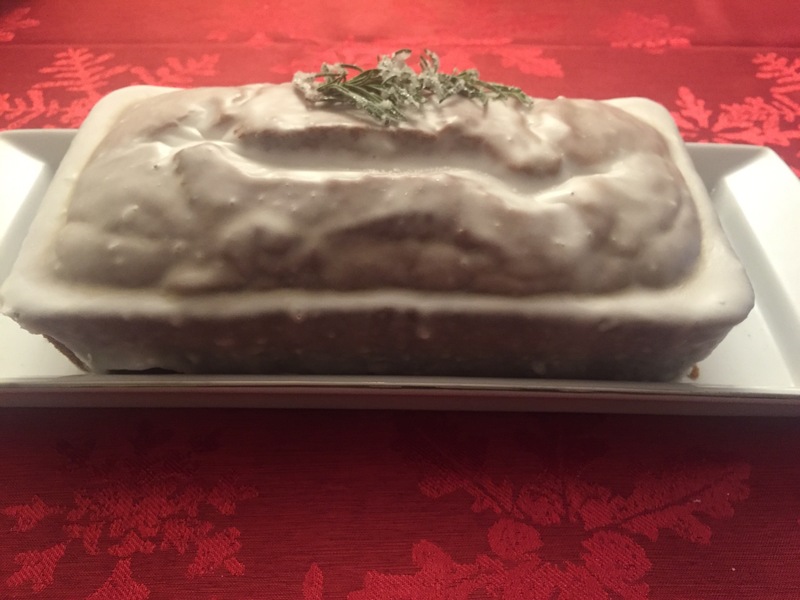 Pour into a greased loaf pan and bake for 75 minutes. Make sure you double check with a tooth pick! Pound cakes are more dense and can take a bit longer to cook through! Allow cake to cool completely before coating with glaze. Given that it is that time of year again, my husband asked if I would bake a batch of pumpkin cupcakes for him. However, his new request was for a different frosting than I had used last time. His suggestion this round was for a maple frosting like he had seen at a coffee shop and was craving. Well, after a few tries at the frosting, I think we found a winner! I stuck with the same recipe I’ve used before for the cake, and I’m still a huge fan of using the gluten free yellow cake mixes. There’s no thinking involved in figuring out flour combinations so take advantage of it when you can! If you don’t have pumpkin pie spice on hand you can mix up a batch of your own! This will make 7 tsp of pumpkin pie spice so you will have a bit left over to use later! Fill cupcake liners to ¾ full and bake for 18-20 minutes. Keep a close eye on them though after 15 minutes to make sure they don’t burn! Allow cupcakes to cool completely before frosting! Pipe onto cupcakes and enjoy!